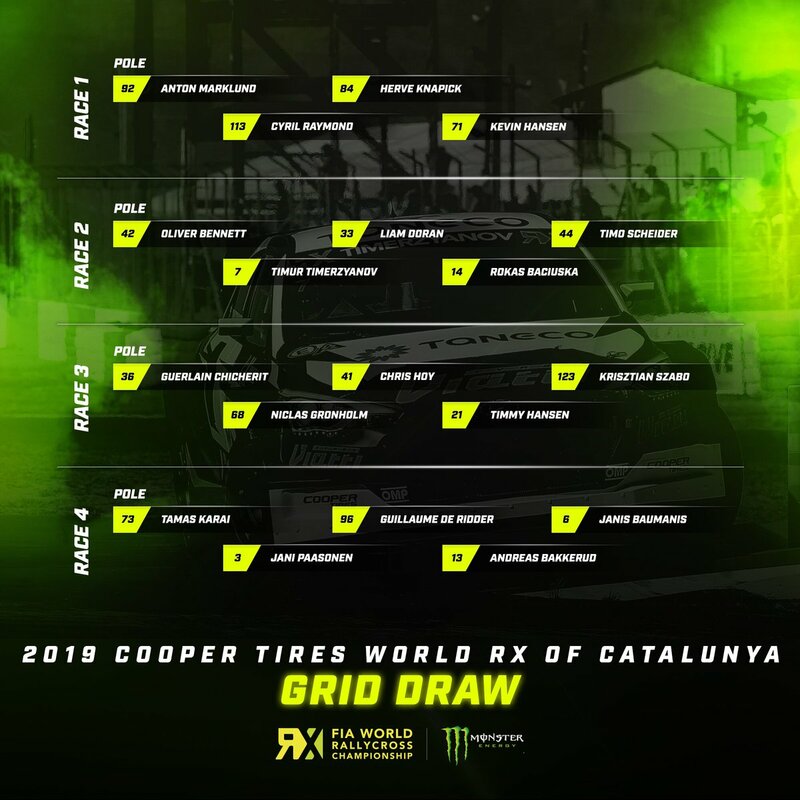 PSRX Volkswagen Sweden’s Johan Kristoffersson was again quickest in Q4 at the Cooper Tires World RX of Great Britain, the fourth round of the FIA World Rallycross Championship at Speedmachine to be TQ (top qualifier) at the Intermediate Classification. Kristoffersson led Q4 race five from lights-to-flag ahead of Team Peugeot Total’s Sebastien Loeb after EKS Audi Sport’s Mattias Ekstrom took a lap one joker and then lost time behind Peugeot’s Timmy Hansen, who was slowed by a problem. Loeb was second quickest and climbed to second in the Intermediate Classification as EKS’ Andreas Bakkerud won Q4 race four and was third overall. Olsbergs MSE’s Kevin Eriksson used a pair of new tyres on the left-hand-side of his Ford Fiesta to set the fourth quickest time with Peugeot’s Kevin Hansen fifth. GC Kompetition’s Jerome-Grosset Janin continuing a strong weekend for the Frenchman in sixth. Ekstrom and Solberg could only manage eighth and tenth times in Q4 after losing time behind Timmy Hansen – Norway’s Tommy Rustad, Latvia’s Janis Baumanis and Great Britain’s Mark Higgins completing the Q4 top 12. Kristoffersson and Solberg will start on the front row for semi-final one, with Bakkerud and Kevin Hansen on row two. Eriksson and Rustad will complete the semi-final one grid. In semi-final two, Loeb will start on pole position with Ekstrom second. Timmy Hansen and Niclas Gronholm be on row two with Grosset-Janin and GRX Taneco’s Timur Timerzyanov on row three. Find full Silverstone RX results here.